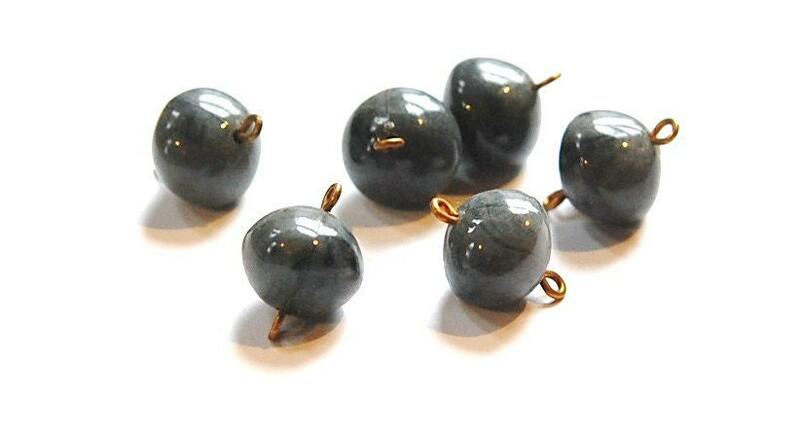 These are vintage acrylic bead with 2 brass loops. They are a gray marbled color. 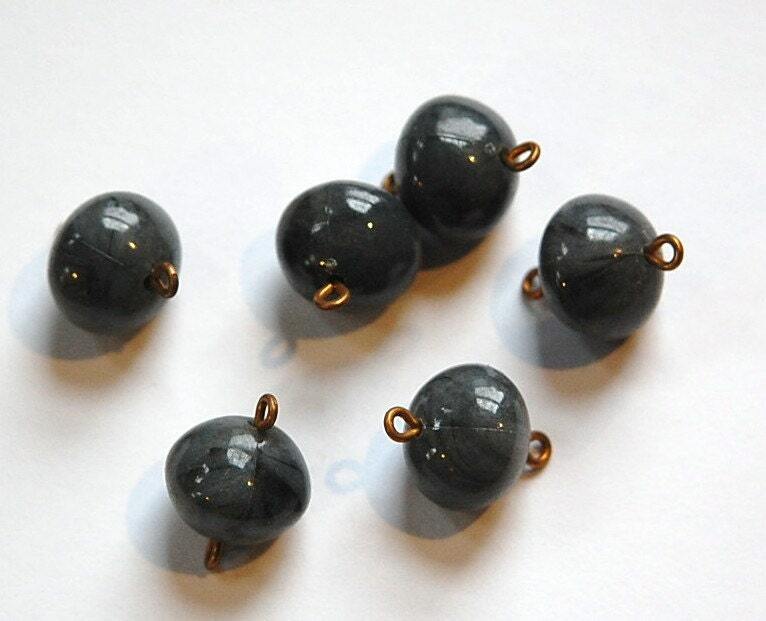 The bead measures 13mm wide X 11mm high. With loops these are 20mm long. You will receive 6 pieces. Fast shipping and very nice items! thank you very much! Love Yummy Treasures you are the best!!!!!!!!!! !